Product #1726 | SKU MF296 | 0.0 (no ratings yet) Thanks for your rating! 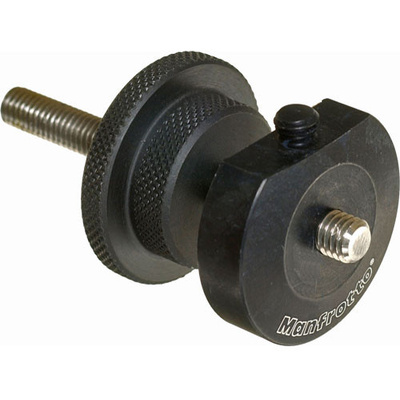 The Manfrotto 296 Photo Clamp with 3/8" Tip can be used to attach a camera or photo accessory to impossible places. It consists of a 10.2 cm long steel shaft and two discs. The shaft is threaded for use with 3/8" heads or accessories, and in this orientation can be clamped unto a horizontal surface. One of the disks features a 3/8" screw at its side, for attaching a small tripod head when clamping unto a vertical surface. Replaces old part number 3287.